Have you upgraded your PC to Windows 10? You can now get Windows 10 Mobile on your Lumia cell phone, too. 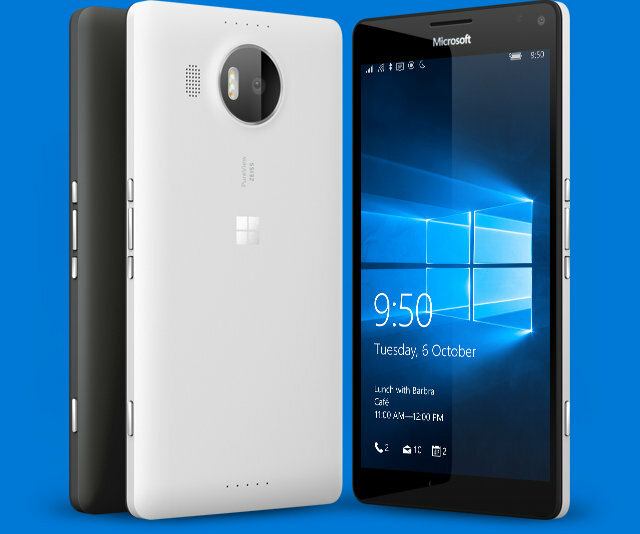 Starting this week, Windows 10 Mobile will roll out to supported handsets. Exactly when you'll get it depends on how quickly carriers can make the updates available for their devices. The Windows 10 Mobile upgrade will provide improved versions of Office and Outlook than those that came with Windows Phone 8.1. Cortana also works more coherently with Windows 10 for desktop. Most of the significant changes in the upgrade involve universal apps that work on both desktop and mobile devices. For example, Twitter has updated its app for compatibility with Windows 10 for both desktop and mobile devices. Thanks to the Universal Windows Platform (UWP) that debuted in Windows 10 for desktop systems, app developers can now compile one app package that works on both desktop and mobile devices with different form factors. This means that the core Windows operating system and its parts will be the same regardless of platform — mobile, internet of things, servers or desktop. This won't change your hardware capabilities; your desktop system won't suddenly acquire the ability to make telephone calls, although you'll still be able to make phone calls via Skype. While UWP apps will work across Windows 10 devices, some apps are specific to a particular platform. For instance, Windows 10 Mobile will be able to run Windows Phone 8.1 apps (which won’t run on your PC, of course), and your traditional 32-bit Windows applications will be supported only in Windows 10 for desktop systems. User interfaces will show some variations. For example, on Windows 10 for desktop, you'll still see the Start menu and Taskbar, but on tablets, you'll get a Taskbar and a Start screen. On a Windows 10 Mobile phone, you'll only get a Start screen. Many of the core apps for mobile devices such as your phone dialer, messaging, mail and calendar apps have been moved to the app store instead of being baked into the operating system. Windows 10 Mobile includes a rather long list of changes and improvements over Windows Phone 8.1, some for better and some for worse. Notifications for messages, missed calls and emails will no longer appear in contact tiles. On some upgraded devices, Cortana will no longer respond to “Hey, Cortana” or open apps through voice input. Cortana’s search functions now exclude apps, email, messaging, settings and contacts. Another significant change in Windows 10 Mobile is that devices that run it will regularly get Windows updates just as desktop Windows 10 devices do. Improved versions, security patches, bug fixes and the like will always be available for mobile devices that use Windows 10 Mobile, and updates and upgrades will arrive on time, even on carrier-branded devices. To upgrade your phone, install Microsoft’s special upgrade advisor app. It will verify whether your phone is supported and whether the upgrade for it is already available. Select “Enable Windows 10 upgrade” in the app. Then go to Settings > Phone Update > Check for updates to fetch the update file; it's a massive file, so make sure you’re on a Wi-Fi connection when downloading. Netflix has actually decided to launch the feature most awaited by its readers https://netflixlogin.co Currently, you can begin downloading the Netflix videos utilizing its recording function. Thanks to the website here. It could be download and use by anybody who have Facebook id http://4liker.me Apps might use this to determine roughly where you are and network-based. There are numerous preferred musicians in the Musically Online neighborhood. https://musicallylogin.us/ Below is the overview of Create Musically Account with the direct guide.